"I have downloaded FLV videos from YouTube. However, even my Windows Media Player can't handle them. How to play FLV files on Windows 7?" FLV is a popular video format that can be easily called a standard format for online video streaming and found on such well-known video sharing sites as YouTube, Vevo, Metacafe and many more. Flash video is viewable in most web browsers. However, if you downloaded FLV video from the website like YouTube, you will get frustrated since many media players can't handle it. Thus you need to fix the FLV playback problem. Luckily, this article introduces 2 methods to play FLV file: play FLV with the top FLV player for Mac/Windows or convert FLV for smooth playback with Video Converter for Mac/Windows. As for a Windows user, your Windows Media Play probably can't play FLV files. Thus you need to download and install a new FLV Player for Windows – VLC Media Player. It supports a broad range of video formats like FLV, WMV, MOV, M4K, MKV, AVI, MTS, M2TS, VOB and more. Thus you can play FLV files on Windows freely. VLC Media Player also includes the Mac version. Mac users can also encounter the same problem if QuickTime is used as their FLV player Mac since QuickTime doesn't support FLV format. If you have trouble in playing your FLV files on Mac or Windows computer, turn to VLC for help or convert FLV to a compatible format for QuickTime or Windows Media Player in Method 2. If you don't want to change a media player to play FLV videos in Mac/Windows, you can use your own player to play FLV file once after converting FLV files to a compatible format for your player. Thus you need a FLV converter software program to resolve all FLV incompatibility issues. Here recommends top FLV converter programs for you to convert FLV files to any playable video formats: Video Converter for Mac and Video Converter for Windows. 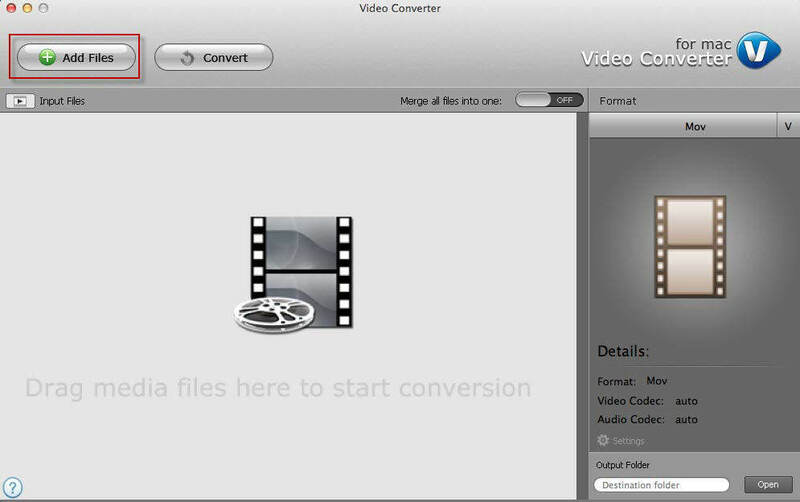 Follow the steps to convert FLV video on Mac with Video Converter for Mac. For Windows users, click here to learn how to convert FLV in Windows 8.1/8/Vista/XP. Step 1. Add FLV file into the application by clicking "Add", or drag FLV files into the interface directly. Step 2. Choose a video format compatible with your media player, like MP4, FLV, WMV, MOV, AVI, MP3, MPEG, etc. Here you should select MOV. Note: Here you can preview your FLV file by clicking the "eye" icon. Step 3. Specify an output folder and press "Convert" to start conversion. Tips: Before converting, you can edit your video file by trimming and cropping. By now, you can play your FLV files on Mac and Windows freely. Just choose the satisfied method to use.